Hinges with a spring and damping device inside the pin. 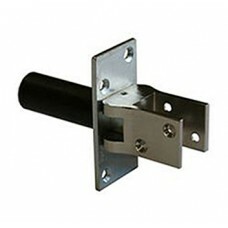 Can be used for light wooden doors in wooden.. 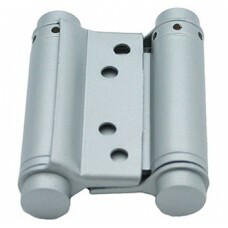 Double action, small model, for small doors, for example: shower doors, counter doors, bar doors, ca.. Double action, large model. For inside as well as outside opening doors. Steel, nickel-plated, avail.. 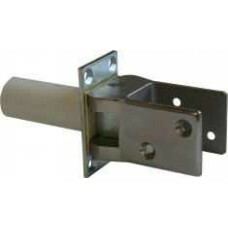 Double action, for swing doors. Adjustable. Order per piece.material: BPheight: 125mmmaximum width d.. Double action, for swing doors. Adjustable. Order per piece.material: grey lacqueredheight: 75mmmaxi.. Double action, for swing doors. Adjustable. Order per piece.material: grey lacqueredheight: 100mmmax.. Double action, for swing doors. Adjustable. Order per piece.material: grey lacqueredheight: 125mmmax.. Double action, for swing doors. Adjustable. Order per piece.material: grey lacqueredheight: 150mmmax.. Double action, for swing doors. Adjustable. Order per piece.material: SSheight: 100mmmaximum width d.. Double action, for swing doors. Adjustable. Order per piece.material: SSheight: 150mmmaximum width d.. 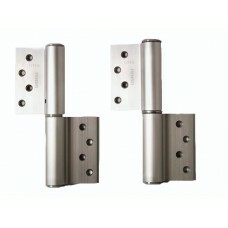 Double action, for swing doors. Adjustable. Order per piece.material: SSheight: 75mmmaximum width do..